The bottom line in business is to go ON A SALE Boat. BOAT = well I added BOAT to make this easy to remember. The "ONASALE" boat Formula helps clients increase success in business by focusing on the right STRATEGIES and the right TACTICS rather than distractions like SHINY OBJECTS. And it works! Click HERE to view Client testimonials and rave reviews. The N=Niche/Audience part of the Smart Tools Success Formula plays a major role in business Success. Having unshakeable clarity about Who and Where your Ideal Client is and What Results they want and need is the game changer that will put your SALE boat on Steriods! HAVE YOU EVER FELT THAT GREEN EYED MONSTER OF ENVY ? Here's how it usually plays out. One of your colleagues tells you about her big win! And yet you may be happy for her ( sort of ) and you smile and say, Congratulations!! Yet, on some level, It almost feels like her win is a reminder of your losses. Right? YUK! - that is NOT a feel good moment. So, I suspect, that as you are reading this you may be thinking. Wait, I've read terrific success mindset books, attended terrific webinars, inspirational networking events, mindshift workshops, etc. AND YOU MAY BE SAYING TO YOURSELF, THIS IS NOT ME. I AM NOT AN ENVIOUS PERSON!!! Okay, so if you have NEVER experienced Envy, then this blog is NOT for you. I'll share a new tip next month! AND, if you have EVER spent even one minute with the "Green Eyed Monster Of Envy", then VIEW The Video Above! I'm Curious - How Have You Handled The Green Eyed Monster Of Envy? Work Smarter using the right Resources, Marketing & Action Plans Designed just for you, then let's talk. I just listened to Jim Carrey's Commencement Message to a graduating class and flat out decided that this is one of the most profound messages I've heard in a very long time. ✔ What does the world need that your talent can provide? ✔ The effect you have on others is the most valuable currency there is! Peace, you have to let the armor go. ✔ Your need for acceptance can make you invisible to this world. ✔ Don't let anything stand in the way your light - Risk being SEEN in all of your Glory. ✔ We are not the pictures on the film stock - we are the light that shines through. ✔ Fame is not where you will be getting your sense of completion. and the running script says " We will never be enough "
✔ Relax and dream up a good life. ✔ Take a chance on FAITH. Hope walks through the fire and Faith leaps over it. If you hesitated - when answering this question - consider this. We all get off track from time to time. Right? That's Life, we get busy - life happens - we get overwhelmed at times & our beliefs often run the show unconsciously until we Turn On The *AWARENESS LIGHTS. Here are actions / beliefs that can keep us Off Track! Others Opinions are more important that your Opinions! You need the Approval of others. You turn our Power over to others. The Reactions of others to the choices you make - shape your perspective. You don't want to take a stand because your fear rejection. 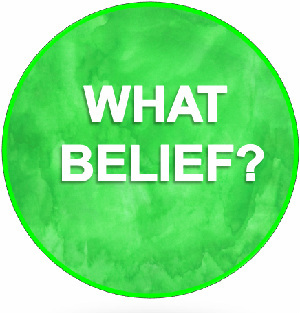 WHAT BELIEF WOULD YOU SHIFT IF YOU WANTED TO BE MORE RESPONSIBLE ? HOW WOULD YOU SHOW UP IN THE WORLD - DIFFERENTLY? WHAT SURPRISES MIGHT SHOW UP? GO FOR IT - GRAB IT - CREATE IT - EMBRACE IT - STARTING TODAY!